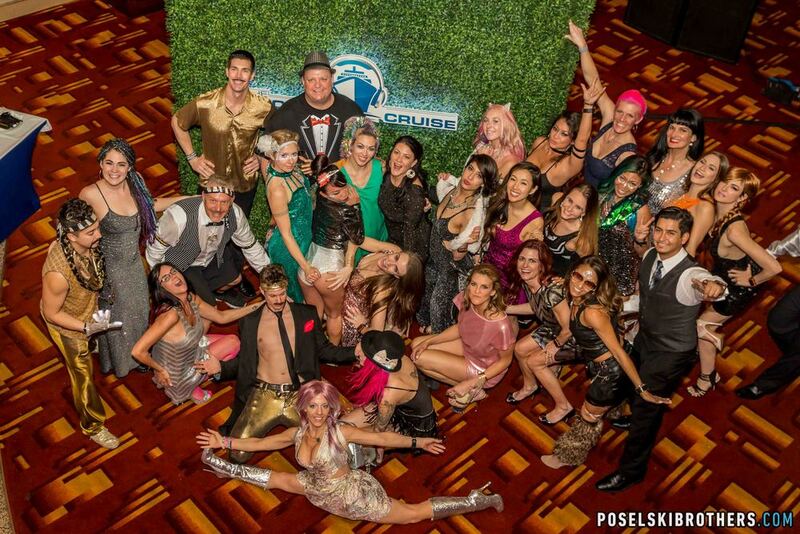 After an arduous journey from the North East to the Port of Miami, my tired body was eagerly met with the anticipation and excitement of the Groove Cruise Fam. Off the bat, it was clear this ship was different. While boarding, the crowd was decked out in sombreros, logos, pasties, or flags to represent the first theme of the week: Identity. The energy exuding out of each and every person quickly knocked any fatigue out of me. We were ready to party. While wandering around alone during New World Sound and making my way to the Theater for unicorn slayer Markus Schulz’ 6-hour open-to-close set, the Groove Cruise Fam made sure I didn’t feel lonely. Invitation after invitation to hang out with different groups of people solidified my thoughts that the #GCFam is the friendliest, craziest, and all around best family to be a part of. Good Morning Groove Cruisers echoed over the loudspeaker as Day 2 was about to begin (even though as Groove Cruisers know -- the days never really do end…) With deep house yoga in the Great Outdoors, Chocolate Puma followed by Roger Sanchez playing the Main Pool deck, and a never ending buffet, fans dressed to theme as their favorite jungle animals had a lot to explore. As the sun slowly melted under the Atlantic, Antonio Giacca followed by Nora En Pure and EDX took over the decks for some Sunset Sessions. Over in the Bliss Lounge, DJ Workshops and open decks inspired up-and-comers to hone their skills. In the Theater, legendary Darude proved he is more than just Sandstorm with a high-energy, electro set featuring crowd favorites, samples from his latest album “Moments”, and even live vocals from his talented brother. (And yes, of course he did drop Sandstorm). Dash Berlin and Kristina Sky ended the evening inside, while Anthony Attalla welcomed the morning sun for those survivors still dancing on the pool deck. Good morningggg, Groove Cruisers! On Sunday, the Norwegian Pearl brought us to Jamaica for the Bingo Beach party where, you guessed it- Bingo Players was set to headline right on the Jamaican shore. Tropical drinks, authentic jerk chicken, great music, and a warm sea were all included in the day’s festivities so fans really could forget about their worries and their strife. In the Bliss Lounge, Markus Schulz was hosting a private album listening party, describing the inspiration behind each track for his most devout fans. Lost Kings was amping up the main pool on one side of the deck before Prince Fox brought a little future bass to the other. As the sun set, Le Youth and Michael Woods welcomed the evening on opposite sides of the ship. The positive GCFam vibes were strong as the day fell to the last night on board. Project 46 played a beautiful set, dropping crowd favorite after favorite. Over in the Atrium, an old school hip-hop party was going down with Scooter sampling Biggie and more. Before Sander van Doorn tore down the Theater, it was clear the weekend was coming to an end. New friends came together for one last celebration, dancing well into the wee hours of the morning to the sounds of Kristina Sky and Roger Sanchez. The music was amazing, yes, but the best moments of Groove Cruise were the ones of togetherness, the moments where the “doctors” were giving out “shots”, the Techno Penguin was handing out hugs, T-Rex was attempting yoga, smiling faces were being met with even more smiles, women were complimenting each other’s costumes, guys were high-fiving one another, fans were meeting their favorite DJs, and strangers were coming together for the love of life. The maturity, friendliness, and generosity of the people aboard the Groove Cruise is unparalleled, and is certainly a main factor in what makes the overall experience such a positive one.